In continuation of its strong performance over the prior few years, L’Oreal (OTCMKTS: LRLCY), the world’s biggest cosmetics company, continued its momentum in H1 2018 with 6.6% rise in sales to 13.3 Billion euros. The company’s earnings were primarily driven by strong performance in the active cosmetic division, L’Oreal Luxe segments, and emerging new markets, particularly Asia-Pacific which grew +13.2%. All the top brands of the Luxe segment posted more than 10% growth and the Active Cosmetics Division posted double digit growth driven by the success of its La Roche-Posay and SkinCeuticals brands, the new impetus of Vichy, and the dynamism of CeraVe. The Consumer Products Division saw an outstanding performance in China. In the New Markets, especially the Asia Pacific Zone, China’s consumers’ aspirations for iconic brands remained strong. 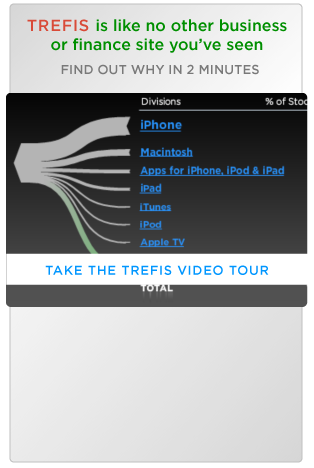 E-commerce and Travel retail remained strong in H1. With the acquisition of the Canadian company, ModiFace, the company’s digital acceleration has moved up a gear, which provided innovative technologies to enhance services and the beauty experience for all the brands. E-commerce sales have increased strongly and continue to rise rapidly, and now account for ~10% of the total sales. Driven by this strong performance, The company forecasts a confident outlook for the remaining fiscal 2018 with sales to continue to rise reflecting continuing momentum from H1. We believe that L’Oreal has the key advantages in terms of innovation, brand power, digital prowess, and the quality of its teams all over the world to continue to drive growth and hold on to its leading position in the Beauty market. 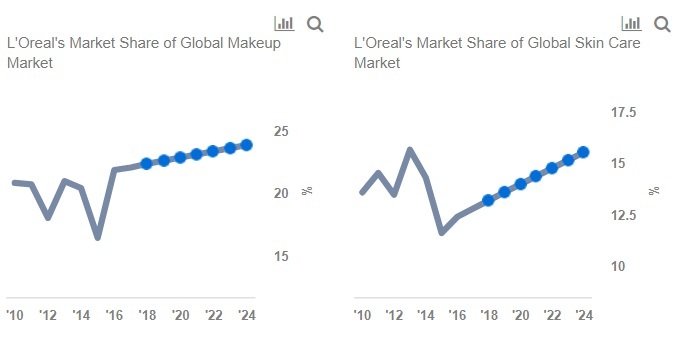 Please refer to our dashboard analysis What To Expect From L’Oreal’s second half of 2018. L’Oréal ‘Luxe’ and ‘Active Cosmetics’ Division will continue to drive sales – These segments will likely continue to post strong performance in the coming earnings as L’Oreal’s premium brands earned the company higher profit margins. The Luxe Segment delivered a strong 13.5% growth in H1, driven by makeup and facial skincare sales in the Asia-Pacific region especially China and Hong Kong, and by Travel Retail. L’Oréal Luxe has made a solid start to the year in Western Europe, particularly in Spain. The division is continuing to perform well in e-commerce while L’Oreal’s Active Cosmetics segment achieved 11.4% sales growth with La Roche-Posay (launching Hyalu B5), Vichy, CeraVe, and Skinceuticals as the best selling brands. Asia-Pacific region to continue to boost the sales – In the previous half of 2018, Sales from emerging markets which include Asia-Pacific, Latin America, Eastern Europe, Africa and the Middle-East have been on a growing trend, constituting nearly 40% of the company’s total sales. Growth from Asia-Pacific topped with 22% y-o-y growth in the H1. In comparison, sales grew in single-digits from other geographies with a whopping 8.1% in Eastern Europe, and 12.2% from Africa/Middle-East. Management thus anticipates continued strength from sales of luxury products prompting it to continue to invest in these regions. L’Oréal to benefit as its ModiFace launches Reality collaboration with Facebook – This deep collaboration is very relevant for L’Oreal and ModiFace since it will allow their AR experiences to live on Facebook and be used by millions of consumers across the world where people can discover L’Oréal products and brands through very realistic, engaging, and meaningful beauty experiences. Given the company’s strong online business and growing popularity of online purchases, this step is likely to continue to contribute to L’Oreal’s growth in the years ahead. In all, we expect L’Oreal to continue its growth momentum in its second half of 2018 and in FY 2019.